Ford flew me out to their batcave in Dearborn, Michigan to check out their latest announcements for the upcoming Los Angeles Auto Show. 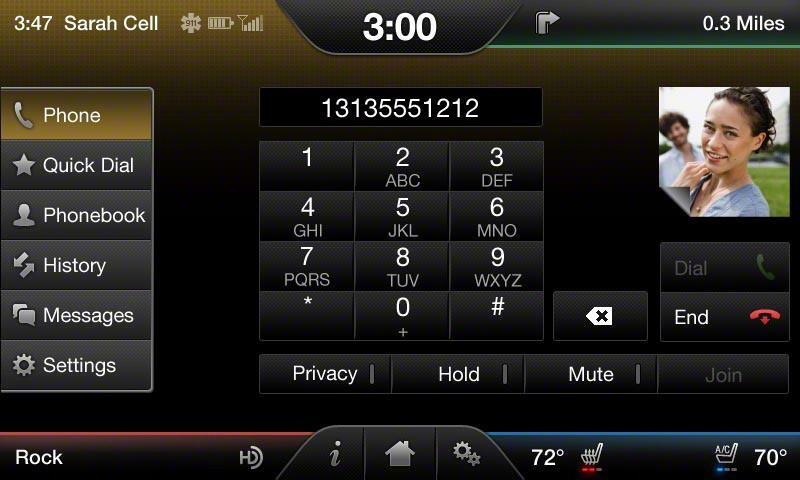 Aside from drooling profusely over a very powerful vehicle that I’m not allowed to talk about until November 15th, I was given a chance to test Ford’s software update for its MyFord Touch touchscreen LCD operating system. 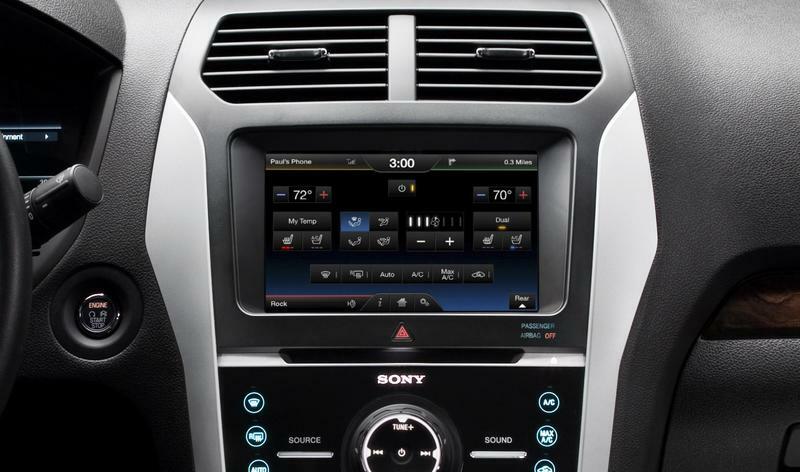 While the MyFord Touch system is not quite as lavish and elaborate as the Cadillac Cue touchscreen dash LCD, Ford’s capacitive touch display was given some much needed love in the performance and aesthetic arenas. The best part about the MyFord Touch software update is that it’s completely free for existing owners and will be standard on all new vehicles. 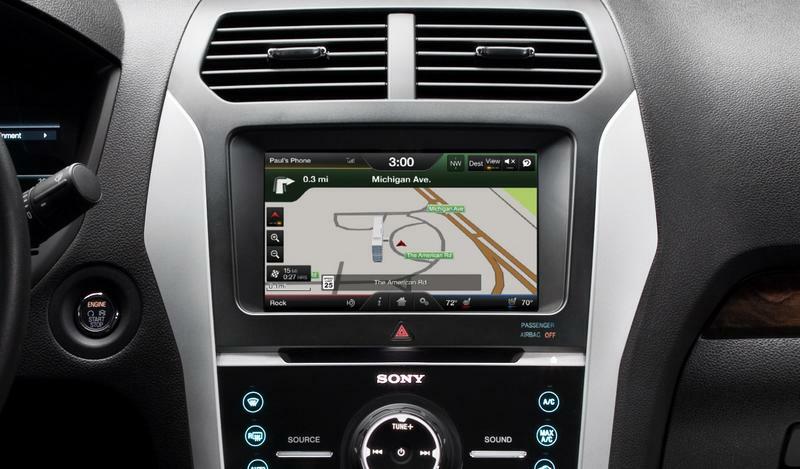 Ford will ship a USB stick with the update to owners, or they can have the update done at a dealer. So what’s new? Ford software engineers redesigned over 1,000 screens in the user interface to make selections simpler and reduce the onscreen clutter. They also doubled the processing speed and improved the pairing ability and stability of Bluetooth connections. 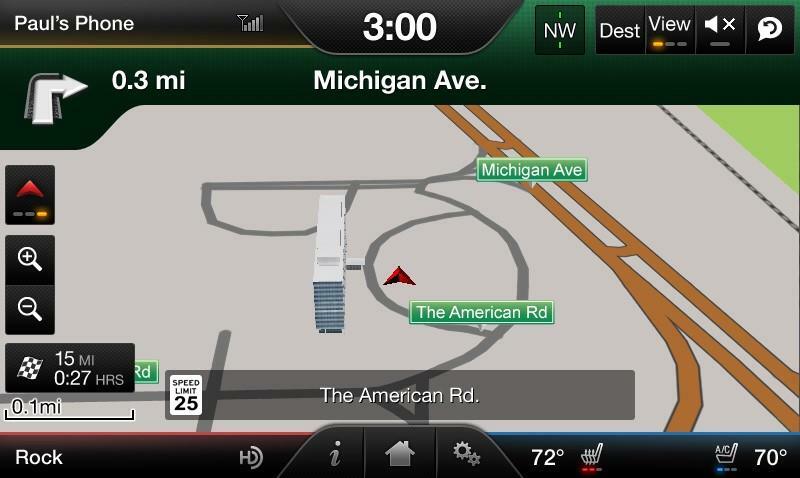 Voice request is faster, courtesy of Ford’s collaboration with Nuance, and the navigation maps feature enhanced graphics with 3D landmarks, thanks to input from Navteq specialists. 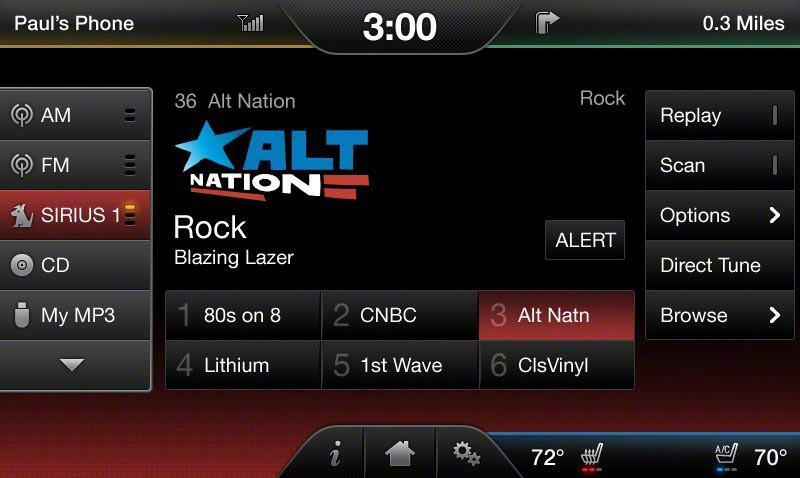 Users can also plug in their tablets and fire up Audible.com for listening to books on the road. Ford had an old version of MyFord Touch setup next to the new version and I got a chance to compare the two. The new version is far superior in every way. It’s much faster, especially in navigation, which featured an enhanced framerate. Aesthetically, the new version is much more intuitive. 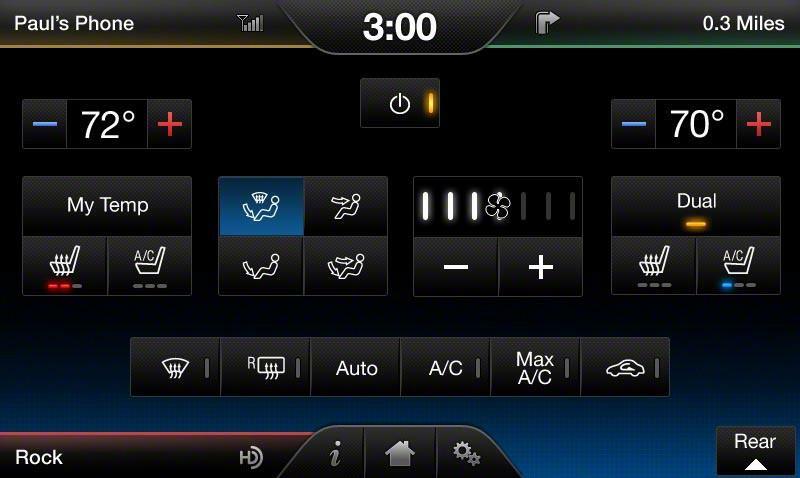 Ford managed to whittle down unnecessary controls for the sake of simplicity and safety, and they did a fantastic job. 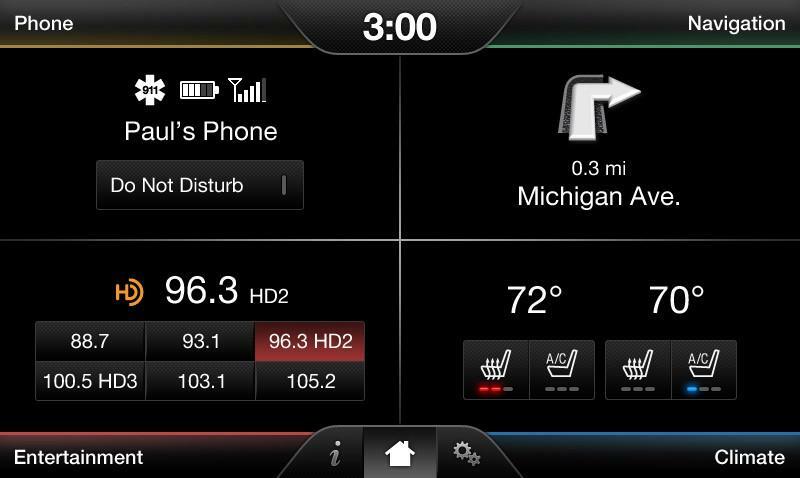 However, when asked if the company will employ haptic feedback technology in future versions of MyFord Touch user interface, Ford deemed it “gimmicky” and not necessary for the average user. 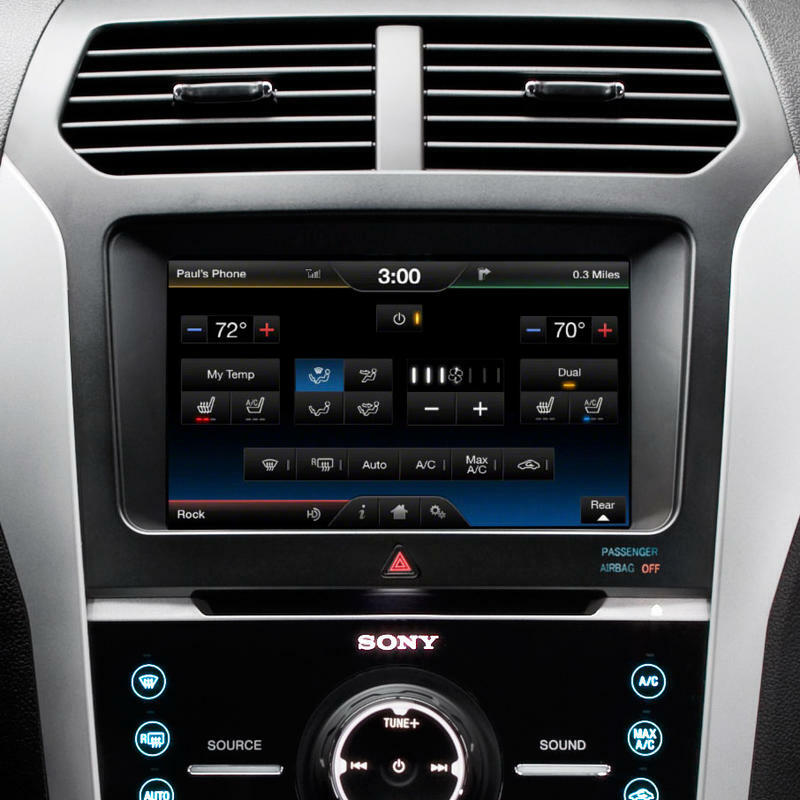 The Cadillac Cue system is rife with haptic feedback. Another nifty feature at the event was the new hands-free power liftgate on another vehicle that I can’t talk about until November 16th. Ford has implemented two gesture-based capacitive strips within the back of the new vehicle that are geared to detect motion. When the driver approaches the rear of the vehicle with their key fob at least 1 meter away from the sensors, all they have to do is make a kicking motion under the rear bumper of the car and the liftgate will open automatically. To close the liftgate, the driver executes the same kicking motion. The liftgate is also height ajustable for short people or low ceilings. I wanted to see what happened if the driver did not move while the liftgate was coming up or down, so I stood under as it descended on my head. Ford told me it the liftgate will stop if it detects resistance, but I had to run away becuase I was too afraid to find out if that was true. Unfortunately, I was not able to attain pictures or videos at all during the event, so you’ll just have to wait until the 16th to find out what vehicle this technology will be debuting on.